“Miss Sarajevo” fades out slightly earlier. On the 2002 release, “Mysterious Ways” featured a different vocal track from the original album version. On Achtung Baby the line at 01:35 is “she’s the wave, she turns the tide, she sees the man inside the child” and for the 2002 pressing of The Best of 1990 – 2000 this became, “she’s the wave, she’ll turn the tide, and no question, she knows why”, but here on the 2018 version of The Best of 1990 – 2000 this line is once again “she’s the wave, she turns the tide, she sees the man inside the child” reverting to the original album lyric. 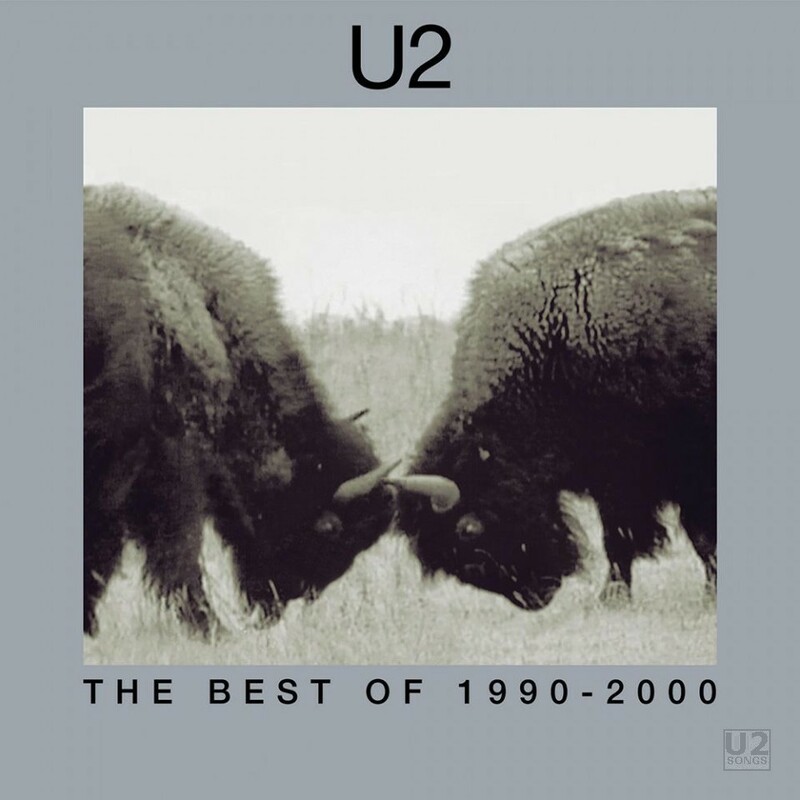 This is a new remastered version of The Best of 1990 – 2010, which was be released on vinyl only, and will feature two 12-inch vinyl, and will include a download card to download the audio files in an electronic format. These downloads should be in WAV format. The vinyl also includes special printed inner sleeves. The vinyl is on 180g vinyl. This set was released September 28th, 2018, and was available worldwide. The catalog number for this release is 5797099, but it contains alternate numbers as well. On the spine and bottom right corner on the back is listed U213/5797099. In the small print on the back cover the number listed is 00602557970999. This vinyl was pressed in France. It is dated 2018 on the back sleeve. Audio Post Production by Cheryl Engels at Partial Productions Inc.
Digital editing by Pat Sullivan at Bernie Grundman. Remastering Engineering by Scott Sedillo at Bernie Grundman Mastering. Director of Production: Nadine King.